Since November 2008, under the name IMT-Advanced, LTE and WiMAX are the specifications for the fourth generation of mobile. The International Telecommunication Union (International Telecommunication Union, ITU short) set these requirements. Since October 2009, two technology families apply for the title of 4G wireless data technology of the future, according to the International Telecommunication Union. 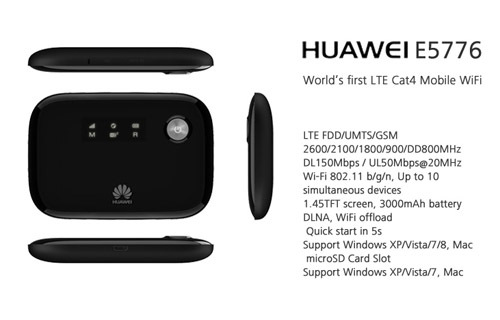 Firstly, there is the advanced technology LTE Advanced, which evolutes from LTE. Second, the applicant is provided with the bulky abbreviation IEEE 802.16m technology, which has evolved from the WiMAX group. Colloquially LTE or Mobile WiMAX is already now referred to as 4G technologies. In colloquial usage, technical standards, there are 3G systems. Some key requirements on wireless technologies of the fourth generation: Higher transmission rates, greater bandwidth, high spectral efficiency and low latency and better coverage of the peripheral areas in the radio cells are crucial criteria. As research targets for the transmission rate is at 100 megabits per second per the International Telecommunications Union, and gigabit per second high with low mobility. There are also up to 40 megahertz scalable bandwidth for the transmission channel, but the researchers are encouraged to draw bandwidths up to 100 MHz considered. The spectral efficiency is measured by measuring the transmission rate per bandwidth. The ITU for IMT-Advanced set 15 bits per second per hertz (bits/s/Hz) on the downlink and 6.75 bit / s / Hz in the uplink. As examples of different high top speeds in different widths, radio channels are given by the ITU on a channel of 40 megahertz (MHz) 600 Mbit/s and on a channel of 100 Megahertz 1500 Mbit/s respectively in the downlink. The bandwidth is LTE-Advanced is significantly higher than the 3G. Instead of 20 megahertz, LTE-Advanced can bundle multiple carriers and thus use up to 100 MHz simultaneously. It is also possible that frequency bands in different frequency ranges are combined, since no operator has been on a continuous frequency range of 100 MHz Currently these 100 MHz are only theoretically achievable, in practice more spectra has to be assigned. This can happen only in 2015 at the World Radio Conference (WRC). Until then, the bandwidth will probably be limited to 40MHz. Another innovation that could keep up with LTE-Advanced collection is called “relay nodes”, i.e. relay stations. This will allow, even outside the range of a base station to receive the signal. In the edge region reinforce the signal relay stations. Connected the relay stations are connected to the base station. Thus, the signal strength inside buildings can be improved. The concept of multiple antennas (MIMO: Multiple Input / Multiple Output) technology, which is already partially used, will also be expanded. Instead of two antennas at the transmitter and receiver (2×2 single-user MIMO) to be introduced up to eight antennas for the downlink (8×8 single-user MIMO). For upload, still four antennas are used. Simultaneously by using multiple antennas, a plurality of data streams on the same frequency is transmitted. This not only increases the spectral efficiency, but also the transmission quality. When the spectral efficiency of LTE-Advanced will even peak values of up to 30 bits/s/Hz can be achieved in the download as well as 15 bits / s / Hz in the upload. LTE has the merit to 15 bits / s / Hz when receiving and at 3.75 bits / s / Hz when sending data. This shows that, although LTE in terms of spectral efficiency can already meet the requirements of IMT-Advanced, but only in the download. The upload, and in the range, it is far from being a 4G technology. Although often LTE or Mobile WiMAX called 4G technologies, they are from the standpoint of technical standards only further developments in the field of 3G and provide an intermediate step represents some criteria for IMT-Advanced are indeed fulfilled to some extent, by no means all. Nevertheless, the marketing departments of international mobile operators call the new LTE technology, which is increasingly used in the United States, even as 4G, to illustrate the difference in the speed of data transmission in comparison to UMTS networks. It is becoming apparent that this usage was soon penetrated. 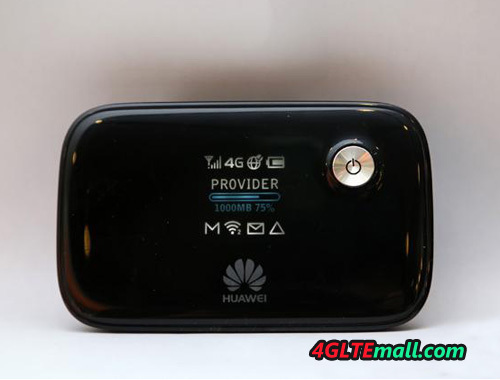 Then LTE or similar technology, such as Mobile WiMAX are commonly referred to as 4G technology, and only in the jargon of technical standards still out as 3G technologies. ZTE Corporation (“ZTE”) (H share stock code: 0763.HK / A share stock code: 000063.SZ), a publicly traded, global provider of telecommunications equipment, network solutions and mobile devices, announced the market launch of the ZTE MF823 known, the smallest 4G LTE data card in the world. 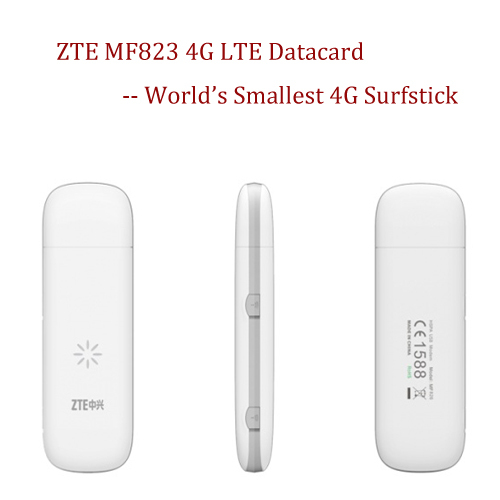 With its driver-less functionality ZTE MF823 4G LTE Datacard offers consumers a quick and easy internet access. It uses Qualcomm’s LTE chip platform of the second generation and has a thickness of only 13mm, which is nearly a third of the size of LTE data cards and the first generation makes it the smallest LTE map of the world. The MF823 works with Web UI, supports IPv6 and is compatible with all major operating systems and Win8/XP/Mac. Since they LTE FDD DL / UL 100/50Mbps and UMTS HSPA +: support DL / UL 42/5.76Mbps and backward compatible with GPRS / GSM, it offers users wherever they are, high-speed access to the Internet without landline or public hotspot. Moreover, it is succeeded ZTE, reduce the power consumption in comparison with the MF823 LTE cards of the first generation by a third. Their emission properties were improved and because it has the industry’s lowest operating temperature, it heats itself not on prolonged use. The MF823 has been in terms of high bandwidth, low latency and high communication rates optimized (the failure rate of the data and to reduce voice transmission), so that users can enjoy a new generation of mobile internet access with high bandwidth. The ZTE MF823 is already available in Kazakhstan and will soon arrive in Europe and Asia-Pacific countries to the market. Since 2008, ZTE has focused its research and development and investments on its LTE products and received several core technology patents for LTE devices. This year brought the ZTE MF820S2 the world’s first multi-standard USB modem and to the MF91S the first UFI device in the world to market. In addition, ZTE was the first Chinese manufacturer to introduce a 4G LTE smartphone, the Grand X LTE (T82). Among global telecom vendors ZTE currently has seven per cent of the basic patents for 4G LTE. ZTE is a publicly listed global provider of telecommunications equipment and network solutions with the most comprehensive product range covering virtually all segments of the telecommunications market, including wireless, access & bearer systems, value-added services, devices and professional services. The company delivers innovative, custom-made products and services to over 500 operators in more than 140 countries, helping them to meet the changing demands of their customers while achieving continued revenue growth. In 2011, ZTE increased its sales by 29 percent to 13.7 billion U.S. dollars. The company sales abroad increased in this period by 30 percent to 7.4 billion U.S. dollars, making 54.2 percent of total operating revenues from. ZTE commits 10 percent of its annual turnover to research and development and takes in a number of international bodies developing emerging telecoms standards play a leading role. As a company with sound corporate social responsibility (CSR) attaches great importance, ZTE is a member of the UN Global Compact network. The company is China’s only listed telecoms manufacturer, with shares simultaneously on the stock exchanges of Hong Kong and Shenzhen listed (H share stock code: 000063.SZ: 0763.HK / A share stock code).